To start Generation 10, you must have completed Generation 9 or reach cumulative level 345 and talk to Duncan about storyline change. Generation 10: Goddess of Light is the second part of Chapter 3. The long forgotten Goddess of Light, Neamhain returns from hiding, but the Fomorians have a sinister plot that involves the goddess. During Rain Maker - Irinid, the Longa Desert Ruins: Rain Maker's Arrow Dungeon is no longer restricted on Samhain (Saturday), and can be done on any day of the week. All Shadow Missions have been readjusted to Intermediate Difficulty on all quests. Most Shadow Missions have drastically lowered EXP rewards. The Shadow Mission "Survivor Rescue" now allows assistance of a Royal Alchemist. During Collect Clues Regarding Goddess Neamhain, you no longer need to talk to NPCs with the Clue Regarding Goddess Neamhain Keyword; instead, simply talking to them will progress with the quest. During Goddess's Memorial, you will receive a Wings of the Blue Goddess to Tir Chonaill in addition to the Dark Lord's Token. The Elatha Role-Playing Dungeon has been shorted to 1 Floor. During, Explorer of Iria, the Exploration Level requirement has been lowered from 10 to 3. Mimics now spawn in every room, in addition to normal mobs. Elves now must go to Longa Ruins Dungeon for the Cubes required for the collection book. Completing Restoring Irinid's Ancient Artifact will reward you a Wings of the Blue Goddess to Cor Village. Completing Rain Maker - Irinid will reward you a Wings of the Blue Goddess to Tara Stonehenge. During Courcle's Heart, the second phase of the Doppelganger fight was removed. The Doppelganger's Reflective Damage now returns 25% of damage back to its attacker instead of 50%. Upon completion of G9, log-out or change channels to view the beginning cutscene. After the cutscene, wait for an owl to bring the quest. Talk to Padan in Tara. He is located near the Shadow Mission board nearby Tara's Stonehenge. Complete the solo Shadow Mission Survivor Rescue. You may bring a Royal Alchemist to assist you. If you give up or fail the mission, talk to Padan to receive it again. There are two Shadow Ghosts in front of Tara's gate. It is not necessary to defeat them. At the front gate, you must defeat the enemies surrounding the soldier. The soldier will not assist you in battle. Upon completion you will receive the Royal Guardsman Coat of Arms (2x2). Talk to Padan to receive Leymore's Journal (2x2). Complete the solo Shadow Mission Leymore's Investigation Log at Taillteann's altar. You will role play as Leymore. Simply search for Elatha around the lake's coast and talk to him. It is not necessary to engage in combat with nearby monsters. Complete the quest (16,500 EXP) and wait for the next one. Talk to Andras in Taillteann to receive Andras's Music Box. You may use Andras's Music Box to view a cutscene, but this is not necessary to progress. You will receive the Shadow Mission Caliburn's Secret. Defeat three waves of enemies around the Beacon Mound to open the gates to Taillteann. Talk to Elatha, who is located near the Steam Ovens (near Dorren's usual location at Taillteann's Alchemist House). A short cutscene will play. Afterwards, talk to him again. You will receive the keyword Clue Regarding Goddess Neamhain Keyword when you complete the quest (11,000 EXP). Wait for the next quest to arrive. You will be traveling throughout Tara for many side quests involving Clues about Neamhain. Have plenty of Inventory space in both your General Inventory Tab and your Special Inventory Tab. All Items will be bound to the player. The quests can be done in any order. Use the Clue Regarding Goddess Neamhain Keyword to initiate each quest or simply talk to the NPC with the Quest in hand. Talk to Hans, who is located in the square near the fountain. Equip a Suit for Alchemist-in-Training. Talk to Hans and he will request you to model for a painting. He will give you a 2x2 Portrait of your character. The outfit can only be bought from Brenda in Taillteann for 89,000g. You may also obtain it from another player. You do not need to keep the portrait. Talk to Hans again. He will ask you to deliver Tara Series Paintings (2x2) to Keith. Talk to Keith, who is located in the Bank north of the shopping square. Talk to Hans to receive the Portrait of Neamhain (2x2). Complete the quest (6,600 EXP). Talk to Lezarro, who is located by the gate heading towards the castle, to receive a Shadow Mission (Obtain the Rare Book). Find the 7 switches, hit them and defeat all the enemies. There are three waves per switch. The center square (with the fountain) will be open. Defeat the Zombie Soldiers to finish the quest and receive a Rare Book (2x2). Bring the book to Lezarro to receive Lezarro's Poem (2x2). Complete the quest (33,000 EXP). Talk to Pencast, who is located outside of the Pontiff's Court. You will receive Pencast's Taming Cane and 50 Pencast's Taming Bait. Tame a Lost Cat and then talk to Pencast. There are cats directly east of Pencast, near the alleyway. Tame a Lost Dog and then talk to Pencast. The nearest puppies are northwest of the cathedral. Both animals can be found near the Tara Castle entrance. Talk to Pencast again, you will receive the Lymilark Scripture (1x2). Complete the quest (8,800 EXP). Talk to Lileas, who is located inside the Jousting Arena, to receive a Shadow Mission (Obtain Shadow Honey). Although monsters are present, no fighting is required in this quest. Simply look for the trees with honeycombs and hit them to collect the Shadow Realm Honey (2x2). You will need 5 of these. Talk to Lileas to give her the honey. She will give you Lileas's Honey Drink. Drink it and watch a cutscene. Talk to Eluned at the clothing shop. Talk to Lileas, and select "Battle Adair." You will face Adair in a Jousting battle. Win against him in order to proceed. You cannot joust him if he is jousting someone else, or if all the lanes are full. Talk to Eluned to receive Neamhain's Feather Decoration (2x2). Complete the quest (11,000 EXP). Once all the clues are gathered, complete the quest (22,000 EXP) and wait for the next one. Talk to Andras to receive the Shadow Mission Neamhain's Memorial. Enter Taillteann and talk to Elatha, who is near the platform where Andras would be. A cutscene will occur followed by a conversation. Talk to him again to release the barriers to the square. You will learn the Synthesis skill if you do not already have it. Defeat the monsters and use the Dry Oven inside the boss room in the middle of the square. Mix the four items you received earlier for a 99% chance to get Neamhain's Memorial (2x2). Should you fail for any reason, return to the four NPCs in the previous quest to receive the items without redoing the quests. Use the Neamhain's Memorial to view a cutscene. Talk to Andras to receive the Dark Lord's Token (1x1) and a Waxen Wing of the Blue Goddess to Tir Chonaill. Drop the token at Ciar Dungeon's normal lobby to role play as Elatha. The dungeon is similar to Ciar Intermediate, it has one floor. There is no boss; just a cutscene when you open the boss room door. Complete the quest (22,000 EXP) and wait for the next quest. Talk to Pencast to receive the Book of Tir Na Nog's Doom. Complete the quest (8,800 EXP) and wait for the next one. The cubes obtained during this quest will not be stored in your Special Inventory. Make sure to have plenty of room in your General Inventory. Depending on your character's race, your quest and required Emblem Cubes will vary. Talk to Alexina at Qilla Base Camp. Achieve a current exploration level of 3 or above and talk to Alexina again to receive a collection book and a dungeon pass. Go to Karu Forest Ruins, drop the pass, and complete the Cube Collection Book by inserting Emblem Cubes. The Dungeon is identical to Karu Normal's last floor, consisting of Stone Imps. Beware of Stone Imps with "The Dubious" title. They are much stronger than their normal counterparts. Rewards for the dungeon remain the same as their normal versions. All Emblem Cubes are 1x1 and will only drop from the Stone Mimics found in the dungeon. Mimics will almost always spawn in the first and second room of the dungeon. It may be best to get multiple passes and clear those rooms repetitively. Read the completed book and click the button on the first page to collect the reward and receive the Irinid's Ancient Artifact (1x1). Talk to Castanea inside the Chief's House. Achieve a current exploration level of 3 or above and talk to Castanea again to receive a collection book and a dungeon pass. Go to Longa Desert Ruins, drop the pass, and complete the Cube Collection Book by inserting Emblem Cubes. All Emblem Cubes are 1x1 and will only drop from the Sand Mimics found in the dungeon. It is advised to get multiple passes. Mimics will almost always spawn in every room of the dungeon. Talk to Kirine inside the Chief's House. Achieve a current exploration level of 3 or above and talk to Kirine again to receive a collection book and a dungeon pass. Go to Par Ruins, drop the pass, and complete the Cube Collection Book by inserting Emblem Cubes. The Dungeon is identical to Par Normal?. All Emblem Cubes are 1x1 and will only drop from the Ice Mimics found in the dungeon. Talk to Voight in Cor to receive the Partially Restored Irinid's Ancient Artifact. Talk to Arenen in Calida Exploration Camp to receive Arenen's Engagement Ring. Drop the ring at Maiz Prairie Ruins in the Rano region to start a solo Role Play quest. The dungeon is Maiz Normal. Arenen possesses Smash, Defense, Counterattack, and Windmill. It is possible to deal 6 normal hits with his dual Hooked Cutlass, which can be crucial for finishing the mobs in a single combo. There is no boss at the end chamber; just a cutscene. Talk to Voight to receive Ilsa's Handkerchief (2x2). Drop the handkerchief at Maiz Prairie Ruins to enter Voight's RP quest. If you enter alone, you will play as Voight, and Ilsa will accompany you as an AI-controlled NPC. The NPC Ilsa deals very little damage, has low HP, and possesses Advanced Heavy Stander. If allowed to be attacked, it is highly likely she will be defeated. Despite this, it is not required for Ilsa to be remain alive to complete the dungeon. If you have another player accompany you, you will play as Ilsa and your partymate plays as Voight. Ilsa possess Lightning Bolt and Healing. While Voight possess Smash, Counterattack, Windmill and Charge. Voight will have to do most of the fighting, because Ilsa deals very little damage. Ilsa can grab the attention of monsters and play dead to reduce aggro on Voight. It is advised to pick up the Phoenix Feathers dropped by monsters, in case the other player gets knocked out. Note::The dungeon will not be completed if your partymate disconnects or leaves the dungeon, If you open the boss room alone you will be transported outside the dungeon WITHOUT completing the quest. There is no boss, but a cutscene will play. Talk to Arenen to receive Rain Maker Crystal. Clear the quest (22,000 EXP). Wait for the next one. You will receive a Wings of the Blue Goddess to Cor Village upon completion. Talk to Kousai in Cor and he will teach you the Rain Casting skill and exchange the Rain Maker Crystal for 15 Water Crystals, 5 Wind Crystals, and 5 Earth Crystals. Use the skill once. Ranking the skill to F is not required. You are not given a Cylinder to perform the action. Drop the Rain Maker Arrow onto the altar at Longa Desert Ruins in Connous. You may bring a party to complete this quest. Note: Kousai will say that this dungeon can only be performed on Samhain (Saturday), but this rule no longer exists. Note:Pets will not be able to move in the dungeon, but summoning effects will work on monsters. The dungeon has 3 floors. The second floor is comparatively short. The first floor consists of Longa Topaz spawns. The second floor consists of Longa Amethyst spawns. The third floor consists of Longa Emerald spawns. The boss is "Possessed Cai." Cai's AI is similar to Shadow Alchemists, making it fairly easy to defeat him. If Cai is not killed fast enough, he will level up, fully restoring his HP. Cai takes much less knockback from Alchemy attacks, and recovers quickly. Every party member who is currently doing the quest will finish their quest on completion of the dungeon. Clear the quest (16,500 EXP). Wait for the next one. Completion of this quest will reward you with a Wings of the Blue Goddess to Tara Stonehenge. If you fail or exit the mission, you will automatically receive it. If you gave up the mission, talk to Pencast again to receive it. Talk to Pencast to receive the Shadow Mission Fomor Mata. You must defeat a few sets of enemies leading from the north gate of Tara to the Jousting arena. Watch the cutscene. You will be introduced to Mata, and you must beat him in a Joust. For more information on Jousting, see the Jousting page. After you win, you must defeat Mata in combat. As a Dark Commander, he behaves very much like a Shadow Commander. You may defeat him in a similar manner to any Shadow/Dark Commander. Clear the quest (22,000 EXP) and wait for the next one. You may bring a party of 8 on this Shadow Mission. Extra Caution is advised due to the amount of spawns found in each area. Like previous quests, anyone on this quest will also fulfill the requirement necessary to move on into the next quest. Talk to Padan to receive the Shadow Mission Assist the Shadow Realm Expeditionary Force. You may bring up to 7 other players to assist you. You will battle numerous waves of monsters shielded by a row of Barrier Spikes until you reach the center, where a cutscene is presented. When you reach the center, numerous amounts of monsters will appear. You are aided by Andras, Karpfen, Granat, and their troops. If Andras, Karpfen, or Granat is killed, the mission fails. If one entire platoon (minus the leader) is killed, the mission fails as well. After the battle, the mission will clear, and a cutscene is presented. Clear the quest (22,000 EXP) and wait for the next quest. If you happen to become unconscious, you may resurrect yourself using Morrighan's Protection, up to 3 times. It instantly revives the player on the spot, complete with blessings and full recovery. This option is not available to Royal Alchemists. The only other method of reviving are by the usage of Phoenix Feathers, Advanced Phoenix Feathers and Party Phoenix Feather. Talk to Padan to receive the Shadow Mission Light and Darkness. You may bring a Royal Alchemist. Upon entering the mission a cutscene will occur. After the cutscene, you will face your (or the RA's) Doppelganger. For more information on the Doppelganger, read the notes and advices on its page. The objective is to use Elatha's Music Box on the Doppelganger when it's taunting you, followed by using Life Drain on it. A Cylinder, Alchemy Crystals and 5x Dark Life Drain Crystal are provided by the mission, and will disappear when the mission is completed. After the Enlightenment patch, the special Dark Life Drain Crystals cannot be used. The Doppelganger will taunt after using Fury of Light. Use the Elatha's Music Box then. When the Doppelganger is "writhing in pain", use the Life Drain skill with the Cylinder equipped. Life Drain cannot be used if the player has full HP. You cannot complete the mission if you have not learned Life Drain. For more information, read the Shadow Mission page. 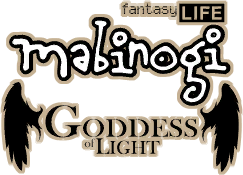 Once you have successfully used Life Drain, you'll have cleared Generation 10 and be awarded with the Neamhain Demigod skills at rank F: Awakening of Light, Fury of Light and Spear of Light. For Royal Alchemists: You will be transported alone to part two of the mission where you will face another Doppelganger. However, you may exit the mission and still obtain the Royal Alchemist Points. Manually complete the quest to claim the EXP (33,000 EXP). Fury of Light and Spear of Light are not usable until one clicks "complete". This page was last edited on 9 December 2018, at 04:40.